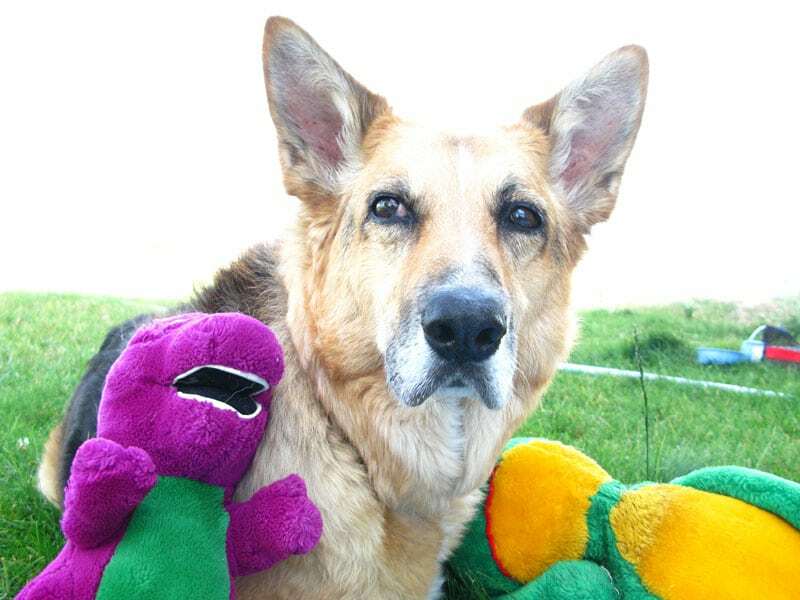 We just published this tribute to Jerry, one year after setting him free from his broken body in the Tripawds News blog . Thank you guys, I believe it with all my heart that my Abbey runs the heavenly fields and has me in her heart too. I hold fast to the verse I read a year ago today “Many waters cannot quench love, nor can the floods drown it. Love is as strong as death” (Song of Sol 8:7, 6) Your tribute to Jerry is amazing and I for one am hoping there will be a book one day ~ You write things I don't know how to express but I feel them… it would minister to so many. I am one month shy of one year without Jack — December 27, 2008 — holidays have been tough this year, thinking back to last year. Had no idea last thanksgiving would be my last with Jack. In some ways I am dreading Christmas this year, it will be full of reminders of how awful last Christmas was. Fittingly, a friend of mine created a necklace in memory of Jack — the sentiment that goes along with it sums our amazing Tripawds up so very well…. if you have a moment, please check it out…. Hugs to all of you as the holidays approach.. May we all remember the amazing lessons these amazing pups have taught! Kristen, Angel Jack and Charlie…. It’s a beautiful tribute. I’m sure Jack would approve of the stick charm! Thanks for checking in, we will always remember jack. I will never forget you, my Mighty Rose……. Can it really be one year without you, my boy? I miss you still….every day. I hope all the chocolate-colored tripawds are having a good romp together in doggie heaven. Yoda liked to get in touch with his Lab roots when he went to the dog park (at least, I always assumed he had Lab in him). Best wishes, thoughts and prayers going out to you on this sad anniversary as you continue to heal. My thoughts and prayers are with you. I know you still miss your Jackers and also hope that you have started to heal. Maybe Emily and Jack are taking rabbit hunting lessons from Yoda. One month today, Caira Sue left our world. So fitting it is that she is in the banner over the top of this page as I write this. Is there tribute enough for our girl? cairasue said: Is there tribute enough for our girl? Stay tuned to the Tripawds Gifts blog to find out. cairasue said: … Is there tribute enough for our girl? 03/03 … a magic number, and 17 months since we said goodbye to Jerry under the big Montana sky. Hugs to you and Rene, Jim. I cringe at the day I will have to do this…but THANKFULLY, I found Tripawds.com 🙂 We have Spirit Jerry to thank for that! Yes, big hugs to you both! Hugs from us, too! We are so greatful to Jerry for being such a great and wise ambassador for us all to follow. A bittersweet day it is for us all.